Chile has a long western flank, made up entirely of the Pacific Ocean. With every major city, major highway and industrial center within a few hours' drive from the beach, protecting that flank is one of Chile's most vital strategic goals. The Navy defends Chilean territorial waters through four naval districts. The main naval bases are in two ports: Talcahuano and Valparaiso. Most warships and the most valuable support vessels are stationed in those two bases, making tthose bases critical assets to protect. The backbone of the Navy is its eight frigates: four acquired second-hand from Britain and four others purchased from the Netherlands. Six are equipped for anti-ship and anti-submarine warfare, while two others (the ex-Dutch L class) are primarily air-defense ships equipped with SM-1 and Seasparrow anti-aircraft missiles. The most modern ships are three Type 23 vessels, and those are being upgraded with improved electronics and Sea Ceptor air-defense missiles. The Navy's submarine force consists of two Scorpene boats and two Type 209 subs, the latter of which are nearing the end of their service life. The subs provide Chile with a stealthy weapon, and the Pacific Ocean in that part of the world provides currents and other conditions that enhance the effectiveness of submarine warfare. Thus, the four subs are just as important as the frigates. In the air, Chile has never had much more than just an adequate force. It has several SH-32 Cougar helicopters with sub-detecting electronics and capabilities to launch Exocet anti-ship missiles. The fixed-wing force counts on three operational Orion P-3 planes, plus three C-295 Persuaders. 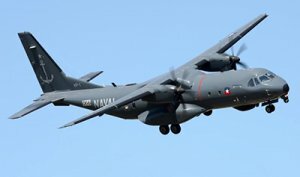 These aircraft help Chile cover sizable gaps that the surface forces alone cannot cover. Some P-111 are still in use, but are mainly for search and rescue and reconnaissance missions. The bulk of naval aviation is stationed near Valparaiso, with airfields also in Punta Arenas, Iquique and Talcahuano. The Navy has considered drones to help patrol the ocean, but there's been no acquisition other than the Navy's own development of a UAV system.